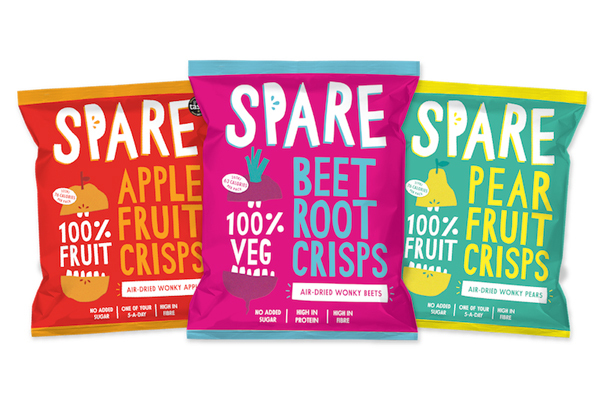 2019 has seen Spare Snacks reformulate and rebrand their Great Taste Award winning Pure range of 100% Apple, Pear and new Beetroot Crisps, alongside the launch of a Seasoned range, Pear & Ginger, Apple & Cinnamon and Beetroot & Apple Cider Vinegar Crisps. Spare want to change the way we approach wonky, misshapen surplus produce so that nothing edible goes to waste and farmers are supported. Spare want to spread the word that oddly shaped, discoloured or blemished produce that wouldn’t go to a supermarket still has real value by creating tasty healthy snacks. Spare Snacks are all under 77Kcals per bag, vegan, gluten free and high in fibre. Known for its superfood properties, the new Beetroot Crisps are also a source of protein, potassium and folic acid. Plus, all of Spare’s snacks are air-dired, never fried. The range is available at Co-op, Planet Organic and Ocado.